Unique, easy and fun planters can bring an impressive change to your outdoor space. Almost anything can be used to make gorgeous containers for your lovely plants. 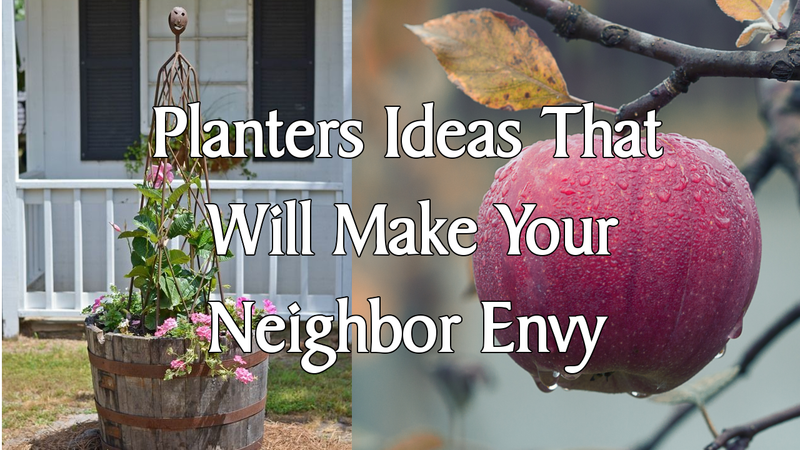 If you want to transform your garden into a head-turner, check out these amazing planter ideas that will make your neighbor envy! Generally, a neat and well-organized garden will add its own aesthetic to your home. No matter how much outdoor space you own, even the smallest garden area will make any head stop and stare for a while. With a proper care and planning, you can transform your front yard into a masterpiece that will impress anyone and greets you warmly when you come home.